The action kicks off straightaway in Fawkes, and right from the start, I found myself drawn into Thomas' world. Thomas isn't always the classic hero--he can be petulant--but that made me like him more, because he felt real. After all, no one is actually as perfect as some YA heroes would have us believe. 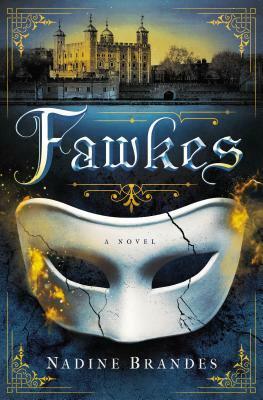 Brandes does a wonderful job of blending her fantasy setting with the true events of the gunpowder plot, and the world building as a whole was well done. There is a romance, but it doesn't take over the story, and the pace throughout was good, with plenty of action moving the story along. I would definitely read more from this author in the future. Check out Fawkes if you are looking for a captivating YA historical fantasy adventure-romance.